IF THE AFFORDABLE HEALTH CARE IS SO AFFORDABLE…..
Why do we have so many seeking exemptions and that includes Congress and their staff being subsidized? WHY? Because Affordable Healthcare or “OBAMACARE” is neither affordable, efficient, or better that what now exists. It will not cover EVERYONE. 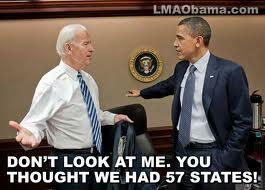 We will still have millions UNINSURED. Dr. Ben Carson had a much better approach as have some of the Republican plans and even many Democrats recognize this disaster and the damage it is doing and will do to ‘health insurance’ and ‘health care’ in America. It, like so many things out of Washington, is misnamed and the name misrepresents what it is all about. It is not about ‘health insurance’ or ‘health care’ it is ultimately about CONTROL. This monster, even when read, is terribly difficult to completely understand all the ramifications. But, when it is studied in detail putting line upon line and precept upon precept it is a NIGHTMARE! When the government gets involved in anything it seeks to ‘control’ that in which it is involved. It wants to make the rules, regulations, issue mandates, and edicts that require a certain performance or pathway to be allowed to do or have what you seek. In health care when a bureaucrat or board of bureaucrats begin to make decisions based solely on the ‘monetary’ through the lens of a ‘statistical table’ exclude the recommendation of the doctor or the desire of the patient it is of great concern. No two people are the same in any situation including the contracting of a particular disease or ailment. Age cannot be an exclusive factor in the decision making. The reason we purchase ‘health insurance’ is so that we can be covered, at least partially, in the event of a health need. We purchase insurance and some virtually never use it until the waning years of their lives and then need it to be able to live out their days with a reasonable quality of life. For the government to decide that a person, say 70 years of age, is no longer a qualified candidate to receive cancer treatment, joint replacement, or by-pass surgery for heart conditions is nothing more than ‘legalized euthanasia’ and, to me, is comparable to that of the Nazi’s in WWII regarding the Jews, or Stalin in Russia, or Chairman Mao in China, or any other despot throughout history devaluing human life to the point that they can willingly and with emotional detachment see the lives of citizens snuffed out in the name of whatever they are pushing. You may be uninsured, and have pre-existing conditions that make it difficult for you to receive ‘health insurance’ and my heart hurts for you, but is that reason to totally destroy the health care industry? There are better ways to handle this situation. The need is for a much more diligent and extensive means of evaluating people’s situation. Is a person without health insurance because they choose not to pay the high price they would have to pay? Is a person without health care because of pre-existing conditions? Why are they without insurance? I do not have time to list all the possible ways of handling this situation but we need to completely transform them Medicaid System, Welfare System, Disability Program, and even work on the Social Security System while maintaining the integrity and continuity of what the seniors now on Social Security are receiving and those soon to be on the program. Medicare is also is serious need of work to make it efficient. Then we come to the VA and many other programs of government but in HEALTH CARE alone we can do some things other than provide Barack Obama with some disastrous piece of legislation that he can try to hang his hat on as a landmark and signature piece of legislation that he got passed for his ‘so-called’ legacy. America has had one of the best health care systems in the modern world but that is rapidly changing and we are already seeing delays in care as well as denial of care based on what this law mandates and what is anticipated it is going to require. As a Christian I have confidence in God to care for His children. We are moving to a time when health care will once again be relegated to home remedies and the life span of people will decrease outside of God providing the miracle of healing for them. Even those who are uninsured today can go to the Emergency Room and the law mandates that they be seen. It is costing us billions if not trillions and the idea of a ‘Health Savings Account’ from birth is an idea that I would like to see much more study on. A Health Savings Account that is bequeathable! 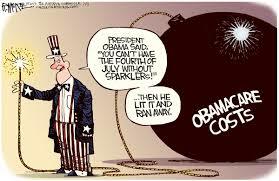 I make no claim to having all the answers, I only know that the “Affordable Health Care Act’ aka OBAMACARE is not it. I know that if it were all it was purported to be there would be ZERO exemptions rather than the hundreds if not thousands that are already issued. Congress would not be running away from it for themselves and their staff. It is escalating cost for individuals, costing jobs, hours, and the well-being of millions while failing to achieve what was promised. That, in my view, makes it a very bad law and one that should be repealed but will not be with the current administration and congress of today. AMERICA – The Melting Pot Nation…. I may be wrong but I believe that the first use of describing America as a “Melting Pot” was in the writings of J. Hector St. John de Crevecoeur in his “Letters from an American Farmer” in 1782. It has been used by politicians, historians, and critics of the American culture and our view of and response to immigrants coming to this nation almost from the beginning of the United States of America as a nation. If America is a “Melting Pot” then much of current multi-cultural and politically correct politics are in grave error, and I believe that to be the case. But, is America truly a “Melting Pot”? A “Melting Pot” implies and demands that varied products or even similar products be placed in the pot and melted down forming a totally new product. That new product is a singular product not a hyphenated one. It is unique and transforms the product derived from its former identity into the identity of the new product. It is not a ‘cooking pot’ for that would leave room for the hyphenation such as ‘beef-stew, chicken-gumbo’ or something else to be used. It would be more akin to taking ore whether that is identified as Italian ore, German ore, French ore, British ore, African ore, or any ore and forming STEEL. It is not Italian-steel, German-steel; French-steel it is STEEL. In the case of America we are supposed to be a nation in which people of various nationalities or ethnicities come and are placed into the MELTING POT and become AMERICANS. 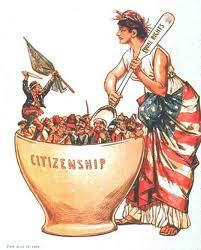 They are not Irish-Americans, German-Americans, Greek-Americans, or African-Americans they are AMERICANS. I would suggest that the only group that has a legitimate justification to be identified using descriptors would be those who were here before the rest of our ancestors arrived and that would be the American Indian or Native Americans. Although I am a quarter Cherokee I do not choose to be identified by that descriptor. I am not ashamed of it because it is who I am. The major national heritage from which I descend would be Scottish-Irish but I do not choose to be identified with those hyphenations I am an AMERICAN and that requires no hyphenation. 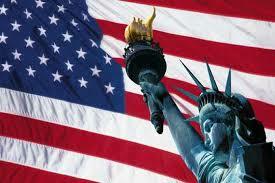 My ancestors came to this country, entered the MELTING POT and came out AMERICANS. They assimilated into the culture which was vastly different from theirs and did not choose to be identified by hyphenations they have, so far as I can discover, always been proud to be identified as AMERICANS. 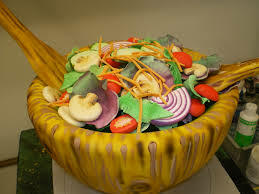 The problem today with our multiculturalism and politically correct society is that we suggest that we should move this nation away from being a ‘melting pot’ into being more of a ‘salad bowl’ where each ethnicity or nationality maintains its unique labeling and culture without assimilating into the new product and become AMERICAN. If that is the case, then why come to America? If there was not a willingness to be transformed into something new and become a fully assimilated and functioning unit of what was established in 1776 and subsequently, why come? If America is not to be unique as are other countries including those from which the immigrants come, why have a national identity? I believe that is what the progressives and liberals are seeking, world citizenship not national citizenship. They want a world without borders, national identities, or national sovereignty. They want a world that is under a solitary ruler with a governing body that destroys all national sovereignty and subjects the world to the rules and laws of the select elite body of rulers that determine our fate. I do not support that! Only in the Kingdom of God can I accept ‘one rule’ and that being GOD ALMIGHTY Himself. Only under the dominion of the Lord Jesus Christ can I lose my national identity or ethnicity. But with regard to human governments and nations, I would never ask nor desire that France, England, Spain, Germany, Mexico, or any other nation give up its borders or culture. I do not ask that those immigrating to America lose contact with their heritage or culture and have no problem with them celebrating it, but ask that they become AMERICANS not hyphenated Americans. America can only be strong when the peoples of this nation are ONE. We do not have to agree on everything. We can be vastly different in our political, social, or religious beliefs, but with regard to national identity we must become one and that is AMERICAN! I realize that some will not agree with this and find it objectionable and possibly offensive and that is not my purpose. My purpose is to call for everyone now citizens of this nation and those desiring to become citizens to also commit to being AMERICAN. 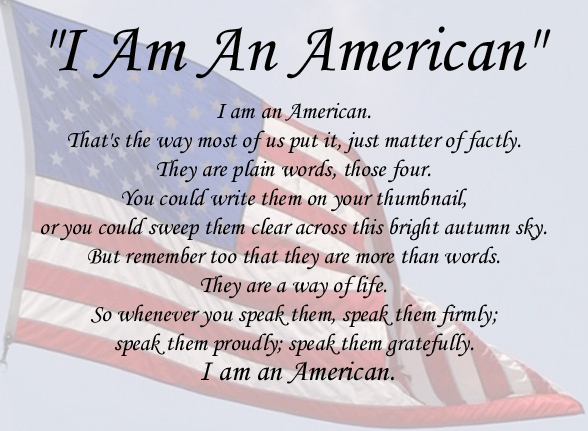 If you cannot take pride in being called an AMERICAN then why be one? If you are more concerned about your hyphenation identifier than being an AMERICAN then why use American at all? This nation was founded and our independence secured through the valiant efforts of men and women who were willing to put it all on the line to provide a nation that would be FREE and allow people to come from all nations of the world and with LIBERTY, pursue their faith, fortune or as is in our founding document ‘Life, Liberty, and the Pursuit of Happiness.’ Be proud of your ancestral heritage and learn about that culture but if you are a citizen or want to be of the United States of America then be an AMERICAN! I acknowledge that we have work to do on many fronts. I acknowledge that we have made errors in the past and will in the future. However, AMERICA was supposed to be a “Melting Pot” and if she is that she can remain strong and free, if she becomes nothing more than a ‘Salad Bowl’ she will eventually become non-existent. If you love AMERICA then please pray for this nation, labor for the restoration of our Constitutional Freedoms and Liberties, and become responsible owners and overseers of our government. It is to be a government “of the people, by the people, and for the people.” The Constitution, Declaration of Independence, and Bill of Rights still focuses on WE THE PEOPLE so let us return to being THE PEOPLE who determine our future! The challenge is monumental and will not be achieved in a year, a decade, or possibly a century but it is achievable if we become a people COMMITTED, ASSIMILATED, and DETERMINED. DESCRIBING POLITICS AND POLITICIANS USING COLLOQUIALISMS AND WITTICISMS…. I have been thinking and wondering if you could describe Washington, DC using “colloquialisms and witticisms” and have decided to venture into that endeavor with both feet. Will Rogers once said, “I don’t make jokes. I just watch the government and report the facts.” The truth of that image is so painful it is inescapable and the humor this endeavor affords, where it not for the painfulness, is almost endless. In fact, humorist, have been making a living of doing just that for years and it is an incredibly successful practice. The old rancher that I talked to some time back said about most of the politicians in Washington that “if brains were electricity, they wouldn’t have enough power to light a firefly.” He then said, most of them were so dumb or acted so dumbly that “they could not find their behinds with both hands and a road map.” He said that they have an IQ lower than their shoe size. While I doubt that some of the things they do if you were to grade them on the ignorance scale you I am convinced you would have to use negative numbers. He said of the President and some of his recent actions that “he’d screw up a two-car funeral procession.” He said that the way those in Washington have been acting for a long time caused him to think that if you were to put their brains on the edge of a razor blade it would be like putting a pea on a six lane highway. Needless to say, He was not impressed with Washington politics or politicians. 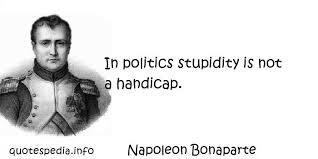 Napoleon once said, “In politics stupidity is not a handicap” and I believe he is painfully correct for it seems that the more ignorance is exhibited by politicians the more electable they become for many. P.J. O’Rourke said, “When buying and selling are controlled by legislation, the first things to be bought and sold are legislators.” That is not just a witticism it is absolute truth! The sad reality is politics, as conducted by politicians, is an exercise that results in bigger government, more restrictiveness at the federal level, hindrance of the free market, loss of liberty by the people and a clear example of classic failure, ineptness, and inefficiency. If a private company were to run a business the way politicians run the federal government with the ludicrous restrictions and deficit spending they would not last one year. If they treated their customers the way politicians treat WE THE PEOPLE they would find a boycott of their product and/or services over time. I know that some companies actually do treat us like the government does and when you are the only game in town you act like it. The solution, in business, is to stop using their products and/or services and strive to provide a market that will entice someone else to step in and fill the void. However, in government it is not quite that simple. We can’t just boycott the federal government though I would like to. We are stuck with them until WE THE PEOPLE utilize our constitutional right and privilege to CHANGE OUR GOVERNMENT or better RESTORE OUR GOVERNMENT to what it was designed to be and as is described in the Constitution. Sadly it seems that P.J. O’Rourke was correct when he said, “Politicians are interested in people. Not that this is always a virtue. Fleas are interested in dogs.” Herbert Hoover made an incredibly sad commentary saying, “Blessed are the young, for they shall inherit the National Debt.” I think that a quote by George Stephanopoulos while Bill Clinton was President fits the bill, “The President has kept all the promises he intended to keep.” That was a truth and a revelation that I doubt he really intended to reveal but it is nonetheless true of ALL POLITICIANS including the current occupant of the White House and both Houses of Congress. We have a situation that, were it not so dire and serious, would be hilarious but I’m not laughing because it is so serious. 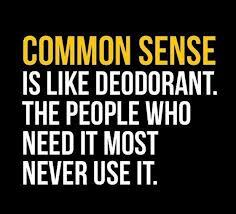 It is one thing to joke and another to be one and that is what our political system has become. The ones that suffer the most from the politics of politicians are WE THE PEOPLE. I don’t know about you but I’m ready for a change in the lot of them. 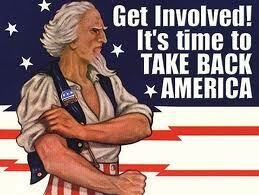 I want my country, my constitution, and my liberty back! DO WE ELECT PRESIDENTS OR KINGS???? In my latest reading of the Constitution of these United States of America I was unable to find one mention of “Election or Coronation of Kings” as being the course of action by the American people. I did find the “Election of a President” but not a “Sovereign, Monarch, Aristocracy, or King”. So I am a bit perplexed seeing how this current president lives and acts along with the ‘first lady’ and the ‘first family’. I realize that some people are so ‘privileged’ that they believe they are ‘entitled’ to treatment as a ‘god, sovereign, royalty or a monarch’ but that is not the authorization of the American Constitution. I find the lack of angst by the media, Congress, or even much of the American public to be inexcusable. We are in such severe economic times, citizens are losing their homes, jobs, life savings, and living in poverty at such a severe level that one would think that ‘excessive lavish extravagance’ by this President and family would elicit the ire of most including the media, Congress, and public but it doesn’t. I do not know if the aforementioned are ‘afraid’ to challenge this President fearing being called a ‘racist’ or something equally as bad or worse, or if they believe he should live and act as a regal? Either way it is an incredible indictment on the current American mentality. It has been my observation that when someone is afforded power and has access to lavish funds frequently will abuse both the power and the funds UNTIL and UNLESS they are stopped. When there is no opposition or only token opposition to his lifestyle and insatiable appetite for spending why would he not continue to act as a Regal Monarch? One of the latest incidents reflecting the mindset of someone who either has a ‘god-complex’ believes that they are ‘entitled’, or believes that they have been ‘crowned as a Regals’ was the ridiculous expense of the ‘first dog’ being transported on a separate flight. WHY? Well the immediate cry of many was that in the Muslim faith dogs are considered ‘unclean’ and travel would of necessity be separate. Is that the case? Possibly or is it just that the mindset and attitude of entitlement drives this President and family to do things that will show the world that they CAN and DO live lavishly while the populace, by and large, live in dire economic conditions. 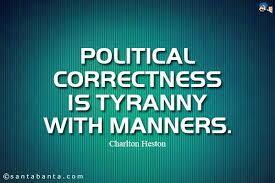 That has been the way of Kings, Tyrants, and Despots throughout history. They live lavish lives while their subjects live in squalor and struggle to survive. 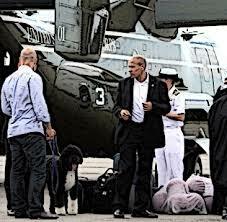 Nothing is too good or to be withheld from the Regal and that is clearly the Obama mindset. Why does this bother me so much? Because when you examine the record of the number and lavishness of the vacations that they have taken, the separate vacations that Michelle and the children have taken, the incredible expense of security that he demands, the overboard entourage that accompanies them everywhere you find that it is astronomical in the actual cost to the tax-payer. 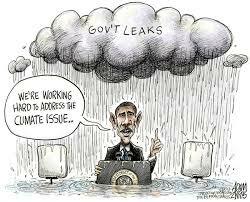 The tax-payer who is working to keep his/her head above water. 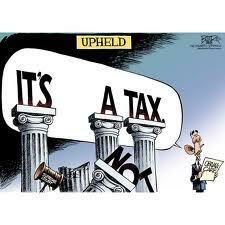 The tax-payer that is being lampooned as ‘not paying his/her fair share’ by this ‘would be emperor’. 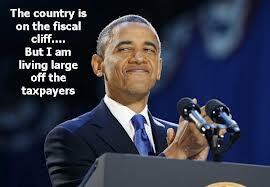 The tax-payer who is seeing his/her America Dream completely vanish. The tax-payer who is forced to ‘cut back’ and live a more austere lifestyle while watching the ‘first family’ parade around the country and the world in luxury. This Presidents claims to be the ‘defender of the middle-class’ but who of the middle-class can live that lifestyle. It is the lifestyle not just of the ‘rich and famous’ but the ‘Regals and Monarchs”. While I do not mind and desire that the American Presidents are protected, travel in a style commensurate with the top leaders of the world, I do find it insulting and objectionable that, in times of economic hardship, there is such disregard and empathy for the American people. I find it insulting that he would make campaign speeches lambasting the ‘rich’ when he is doing far worse than the most lavish of the rich in that they pay their own way and he does not – WE PAY! I find it insulting that he would attempt to operate politically, socially, or privately as a KING. The Constitution affords no such luxury. He is an ‘elected’ public servant or supposed to be. 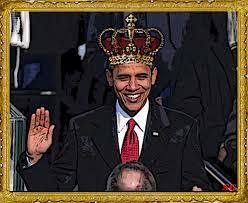 He has not ascended to the Throne of America he was inaugurated into the Office of President not crowned King. Congress should cease treating him as royalty, take the gloves off, defend the Constitution, and the interests of the American people IMMEIDATELY! It should not matter what party you are in or identify with his actions, lavish living, and incredible spending should infuriate you. Where are the lovers of Freedom, the defenders of the Constitution, and the Patriots? Where are those who are struggling to make ends meet? Where are those who want a Restored Constitutional Democratic Republic? Where are the representatives of the people? WHERE? Sadly, it seems that those of us willing to be vocal are in the minority but we dare not allow ourselves to become complacent. We must attempt to turn up the heat, intensify the cry for liberty, and become involved both in prayer and work like never before. AMERICA IS AT RISK! May God bless you and may God bless the United States of America! THE STANDARD OF NO STANDARD FOR MR. OBAMA…..
For several years now I have wondered how it is that if a Conservative, Constitutionalist, or Republican makes a faux pas in speaking or saying something that is factually, historically, geographically, incorrect he never hears the end of it and is branded as ‘dumb’ or some other equally demeaning characterization, but if Mr. Obama does it is because he is so ‘brilliant’ that his mind cannot entertain things so mundane and unimportant as how many states there are in the Union. Recently, and most of you have already moved on from this, Mr. Obama was on Jay Leno’s show campaigning and trying to be likeable by the public and made so many gaffes that had that been George W. Bush, Ronald Reagan, George H.W. Bush, or any other Republican President or politician we would still be hearing it in the main stream or lame stream media. It would be in every newspaper, on every national television and radio network, and the laughing or the ridicule would be endless, but not so with Mr. Obama. There is deafening silence from those venues. It is the ‘standard of no standard’ when it comes to him and his administration. It is hypocrisy and so blatantly partisan that one would have to wonder how any rational voter could possibly not see through it and become disgusted with the double-standard. But, I forget that many are ‘willingly blind’ and therefore the ‘standard of no standard’ is not only acceptable but desirable. Candidate Obama spoke in a church in Selma, Alabama on the anniversary of the ‘Bloody Sunday March’ where he told his audience that the Kennedy’s did an airlift that would bring young Africans to America so they could be educated and his grandfather heard that call and sent his father, Barack Obama, Sr. to America. That would be great but there is a small or not so small problem. In following the timeline of Barack’s life we find that he was born in August 1961 so he would have been conceived in November 1960 (or there about). He suggested that it was through those endeavors that his mother and father got together and produced him. That is a bit problematic and would suggest that the shout his grandfather heard would have had to have been that of Dwight David Eisenhower not Jack or Bobby Kennedy. Jack Kennedy did not assume office until January 1961 so it would have been impossible for him to have been instrumental in a program that brought Barack, Sr. to Hawaii in 1959. He declared that what happened in 1965 in Selma gave his mother a white woman from Kansas and his father a black man from Kenya the courage to get married and have a child. The wee problem here is that since he was born on August 4, 1961 and the first of the three marches did not occur until March 7, 1965 or at least five years after Barack’s parents met. But who is checking facts it is only a political speech right? Of course when candidate Obama declared that he had campaigned in all 57 States the correlation with the 57 Islamic states was immediately dismissed and labeled as Islamophobic and racist so most Republicans backed completely away from it. When he declared in September 2011 in Cincinnati that America is the country that built the ‘Intercontinental Railroad’ no one batted an eye. When did we and where is that railroad that spans continents? Oh I guess it is in one of the 57 States that I haven’t visited yet. Also in November 2011 he said while speaking in Hawaii, “When I meet with world leaders, what’s striking – – whether it’s in Europe or here in Asia….” When did Hawaii become a part of Asia? Oh I guess my geography needs to be refreshed with the revisionist geography of Mr. Obama and the left. Then the classic, “UPS and FedEx are doing just fine, right? It’s the Post Office that’s always having problems.” That was his argument for Obamacare. WHAT? 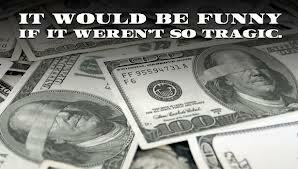 Mr. Obama you just destroyed your argument and identified why we should have ‘less’ not ‘more’ government involvement. 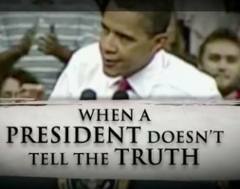 Then the Leno show where there were a number of gaffes but nothing sticks to him and he is held to ‘no standard’ again. Remember when Dan Quayle misspelled ‘potato’ and how long that continued and to this day he is labeled and characterized as being lacking in the mental department. Mr. Obama downplayed the threat of terrorism and we all know that Al Qaeda is not on the run, decimated, nor has their core been depleted. They are possibly better organized today and as committed to terrorism as ever. He wrongly claimed that Vladimir Putin once ran the KGB but the fact is Mr. Putin was a Lt. Colonel in the KGB not the head. His geography is abysmal and we now have the “Gulf Coast’ and the “Gulf of Mexico” being somewhere near Savannah, Charleston, and Jacksonville. He mixed up the summer and winter Olympics in his statements but no problem his intelligence is so astounding that small details like that should be expected from the “Big Brained People” such as Mr. Obama. He said one more thing that bothered me and I would have hoped for more inquiry to find out what he meant. He said with regard to the question about Benghazi, “The odds of people dying in a terrorist attack obviously are still a lot lower than in a car accident, unfortunately.” So it would be better if the odds of dying in a terrorist attack were higher than dying in a car accident? You mean you want and lament that there are not more and more effective terror attacks? PLEASE EXPLAIN MR. OBAMA! I am waiting for your explanation but I know that it won’t be forthcoming. If that was a Freudian slip it would suggest that as he declared in his book, “If the political winds ever turn sour I will side with the Muslims” is much more problematic than anyone thought or has suggested. I, for one, am tired of the standard of no standard with regard to this president or any politician. I’m longing for and will work for a restored America, that honors and obeys the Constitution, and for a media that is, at least, a little honest who reports the news not one that slants and shapes it for their political agenda.